Tom Mangold is known to millions as the face of BBC TV’s flagship current affairs programme Panorama and as its longest-serving reporter. Splashed! is the ‘antidote to the conventional journalist’s autobiography’ – a compelling, hilarious and raucous revelation of the events that marked an extraordinary life in journalism. Mangold describes his National Service in Germany, where he worked part-time as a smuggler, through his years in the 1950s on Fleet Street’s most ruthless newspapers, a time when chequebook journalism ruled and shamelessness was a major skill. Recruited by the BBC, he spent forty years as a broadcaster, developing a reputation for war reporting and major investigations. From world exclusives with fallen women in the red-top days to chaotic interviews with Presidents, Splashed! 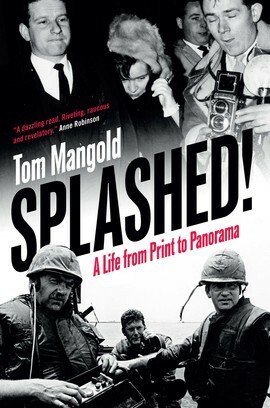 offers a rare glimpse of the personal triumphs and disasters of a life in reporting, together with fascinating revelations about the stories that made the headlines on Mangold’s remarkable journey from print to Panorama.